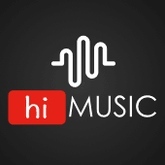 hiMusic is one of the best choices for music geeks. Simple and at the same time powerful UX will take your listening experience to the next level. Whether you want to enjoy new music or watch videos, it's available anytime and anywhere free of charge. Updated at: Jan. 19, 2019, 8:45 p.m.